Jodi Meusel grew up on a 2nd generation farm here in northern Illinois, working at her family's ice cream shop. After spending her sophomore year in high school as an exchange student in Germany, she fell in love with cross-cultural learning and travel. She and her husband spent 2 years teaching English in Japan followed by another 8 years of working internationally in Switzerland, England, and China in project management. She moved back to Chicago 4 years ago for a job. When the company went bankrupt last year, she decided to work for herself. It is not easy and still not stable, but exciting. Recently she heard the quote, 'if you can't find the miracle...be the miracle'; a path she hopes to pursue in this next chapter of her life. 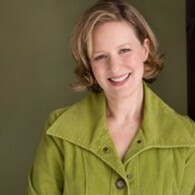 _Julie Ganey is a Chicago actor, writer, and teacher. As a performer, she has worked with the Goodman Theatre, Victory Gardens, Northlight, Chicago Dramatists, Shattered Globe and Drury Lane, among others. Her solo shows The Half-Life of Magic and Love Thy Neighbor...till it hurts have been produced by Fillet of Solo at Lifeline Theatre, Next Theatre in Evanston, and 16th Street Theatre in Berwyn. Through Wavelength, an award winning comedy ensemble that performs for educators, Julie has created and led workshops for teachers and executives all over the country on communication skills and improvisation. In addition, Julie has designed lots of programs for kids, on everything from violence prevention to etiquette, and her bullying prevention program, Stand Up On The Schoolyard, has been presented to students and educators within the Chicago Public School system and across the country. 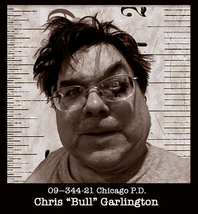 Christopher "Bull" Garlington is an author and syndicated humor columnist whose work appears in parenting magazines including Chicago Parenting, New York Parenting, Michiana Parent, Tulsa Parent, Birmingham Parent, and Carolina Parent. He is co-author of the popular foodie compendium, The Beat Cop’s Guide to Chicago Eats. Garlington’s features have appeared in newspapers and magazines across the nation since 1989; he won the Parenting Media Association’s Silver Award for best humor article in 2013.